It is said that girls are always looking for a knight in shining armor -- and perhaps that's true. But from the looks of a few recent cinematic projects, it seems we are all, men and women alike, looking for a superhero. In a current Kickstarter campaign -- which was brought to my attention by recent interview and artistic maverick Sultan Saeed Al Darmaki -- filmmaker Brett Culp delves into the wonder of Batman and all the great positivity the superhero has always inspired in kids, big and small, everywhere. Culp's fascinating documentary is titled Legends of the Knight and offers a touching look at how the myth of Batman helps heal and triumph, even in sometimes seemingly impossible situations. And by the looks of how many current Kickstarter campaigns feature superheroes, I'd say Batman, Spider-man and the likes are definitely here to stay as man's favorite fantasy confidants. 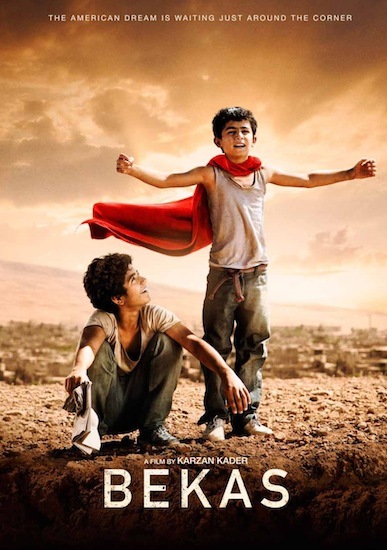 At the Dubai International Film Festival back in December, I watched Bekas, a film about two young orphaned brothers living in Kurdistan during Saddam Hussein's rule. Zana and Dana are children of the land made infamous by Hussein's atrocities, but they lean upon the legend of an unlikely ally to help them survive their difficult surroundings and miserable situation: Superman. Or, as the brothers call him, "Zooperman." When they surreptitiously watch the superhero in action through a hole in the wall of their local cinema, they decide to go to Amrika (America) to find Superman and live within the shelter of his super life. "Does Zooperman have a father?" One asks the other. "Yes, his name is Super Dad!" 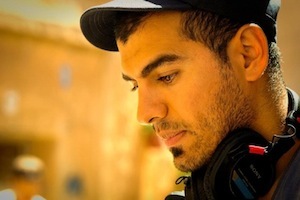 In Dubai, filmmaker Karzan Kader admitted "a strong connection to the story" but that his own superhero growing up had been Rambo, that unlikely champion of political correctness. Kader, himself Kurdish but brought up in Sweden, felt deep within him as a child a need to bring Rambo to Kurdistan, at the time to release his homeland from the clutches of the Iraqi dictator. With his statements, but mostly through his wonderful film, the young filmmaker proves that the we all "need a hero" to sweep us off our feet, as Bonnie Tyler pointed out long ago in her song. Bekas -- which Kader explained means "a person who has no parents, no family at all" in Kurdish -- is a film that made me laugh and cry, and then forget the difference between the two, as I giggled through my tears. There are simple gems inserted throughout the story, like a donkey named Michael Jackson, and a notebook where all the bad guys names get written down, with Saddam Hussein's top and center, underlined. And then there's the great Coca Cola caper... But you'll have to catch the film to see for yourself. I was glad to learn from Dubai Filmmart Manager Pascal Diot that this year's Dubai International Film Festival, and its corresponding film market, turned out to be very fruitful for films in and about the MENA region. The omnibus documentary collection titled Family Albums has been bought for distribution in Germany by Mec Film, the charming Jordanian rom-com When Monaliza Smiled was bought by Marrakech Spectacles for Morocco with options in Algeria and Tunisia, the Lebanese drama Blind Intersection was bought by Empire Cinemas for distribution in Lebanon, the United Arab Emirates and Jordan. And of course, the touching Bekas has already found distribution partners in the Middle East, through Empire, and Italy through Minerva, with releases as early as the fall. It is stories like these, and many others that still need to be told, which help me to understand the world around me and yes, even rediscover the healing powers of the Kryptonian with the red "S" shield on his chest or even the caped crusader of Gotham City -- beyond all the attention focused on the misguided actions of one sick man in Aurora, Colorado. Here's fingers crossed that Bekas will hit US theaters soon.